I had never seen a squirrel die before. Please be more careful, all you squirrels out there. Growing up in the country I saw more than my share of roadkill, but somehow escaped childhood unmarred by the sight of a rodent dashing to his death under a car tire. That all changed this week. 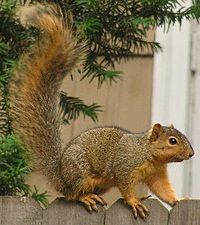 Less than a mile into a run through the bucolic byways near my parents’ house, I saw the squirrel run out into the street. I thought that squirrels had some sense that kept them from going straight under the wheel, but I soon learned otherwise. The poor guy ran, stopped just outside the car’s path, darted into the middle, toward the right, then toward the left just as the left tire made its way over little buddy’s head. “You don’t see that in Boston,” I thought as I made my way into the 5-way intersection that was governed by nothing but stop signs and drivers’ good will until very recently. In fact, that intersection helped me understand libertarianism. Sometimes if you leave people alone and give them no guidance, they will figure it out on their own (NB: 5-way intersections are one of the few places this principle applies). Now it’s a rotary, which has seriously confused some of the elderly drivers in the neighborhood. Rounding the corner came the old familiar sight: a tobacco barn. For a region which had an economy based entirely on tobacco and firearms, upstate CT can be remarkably genteel. I have to smile when I see a barn still standing; most of them are now defunct, and many have been plowed over so the good people of my home state can have another Old Navy. Not long after that I approached a farm stand bursting with fresh veggies, unattended. Prices were listed and a drop box was available for people to pay. It was on the honor system. THE HONOR SYSTEM!! Now there’s something you don’t see in Boston. Hills rolled on and I kept running. The only tough hill on the route I usually run is by a farm we always referred to as the “silly silo”. I don’t know why. There are horses aplenty and the accompanying stink. Signs advertise fresh eggs in a collapsing wooden stand out front of the dingy decrepit house. It wasn’t until I had been away from the area for a while that I realized whoever lived there was poor in a way I didn’t know existed so close to home. There is a long slow incline past only a few spread-out houses, then a sharp turn, then two more hills and my parents’ driveway. It is a glorious run. Part of being sacramental is to be rooted in place, but I wonder if aside from that there is also a nagging itch that can’t be sated by mere place. We love a place but are always restless. In fact, sometimes I feel like the squirrel running between the two wheels of the car, between city and country, longing for quiet and longing for bustle and loving them both, trying not to be crushed.